T-Fal 12-Piece Nonstick Cookware Just $37.44! Down From $90! PLUS FREE Shipping! You are here: Home / Great Deals / Amazon Deals / T-Fal 12-Piece Nonstick Cookware Just $37.44! Down From $90! PLUS FREE Shipping! You shouldn’t miss this awesome deal at Amazon! 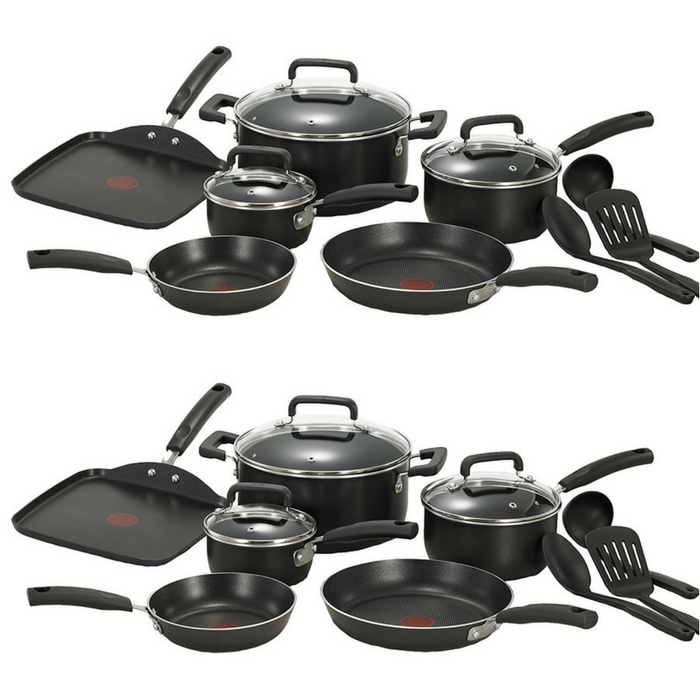 Score T-Fal 12-Piece Nonstick Cookware for just $37.44 down from $89.99 PLUS FREE shipping! This 12-piece set includes 7.75-inch and 11-inch fry pans, 1-quart and 2-quart sauce pans with lids, 5.5-quart dutch oven with lid, 10.25-inch griddle, spoon, ladle, and slotted spatula. PLUS, this cookware set is exceptionally durable and scratch resistant! What else can you ask for? Hurry and grab yours now!